Anglophones and Francophone have revealed contradictory views with regards to their political freedoms on one hand and the military on the other hand. 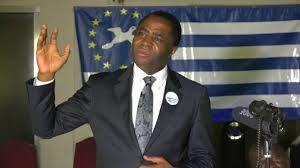 The socio-political unrest that has been plaguing the Northwest and Southwest regions of the country have greatly affected national unity and many Cameroonians notably those of the English speaking parts no longer have confidence in the country anymore. Afro barometer, revealed. 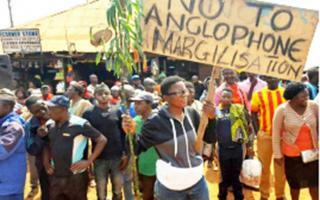 The publication also had it that Cameroon after more than half a century of existence as a country with a dual colonial cultural heritage and two official languages is at the risk of division provoked by the Anglophone crisis which sparked off since 2016. More so, in a survey conducted in relation to the crisis, afro barometer disclosed that many Cameroonians are expressing negative views to the extent of questioning their nationality. Afro barometer indicated that before 2016, only a small minority of 6 to 12% of Cameroonians were identifying themselves with their ethnic origin than their nationality, but from 2016 the greater percentage of 31% of Anglophones identify themselves more with their ethnic origin than their Cameroonian nationality. The phenomenon according to afro barometer has also affected francophone with about 13 % of them identifying more with their ethnic origin than the Cameroonian nationality. The findings of afro barometer also reveal that many Cameroonians notably the Anglophones have lost confidence in the police and the army. 58% of Anglophone Cameroonians interviewed have no confidence in the police while 44% of Francophones interviewed express the same opinion. On the other hand, 33% of Francophones have full confidence in the police while just 3% of Anglophones have full confidence in the police. As concerns, the military, the findings of afro barometer show that 62% of Anglophones have no confidence in the military, while 13% of Francophones share the same view. 59% of Francophones express full confidence in the military as oppose to 3% of Anglophones who have confidence in them. With regards to democracy, 4% of Anglophones in Cameroon are of the opinion that there is no democracy in Cameroon, while 52% are not satisfied at all with the countries democracy. On the other hand, 2 % of Francophones thinks that there is no democracy in Cameroon while, 27 % are not satisfied with the level of democracy in the country. 81% of Anglophone Cameroonians say their freedom of expression is limited while just 22% of Francophones hold the same view, afro barometer reveals.